Congratulations! You have just got a positive pregnancy test and you are on the moon and can’t wait to break the news to your friends and family. Wait… now that you are pregnant, what next? What should you do? Search for the best gynecologist to guide you. Your gynecologist is the one who is going to ensure that you have a healthy pregnancy and a smooth delivery. So, your first step is to choose the right gynecologist for you. But how do you really choose the right one? What should you look out for in a gynecologist? Is the reputation of the doctor enough for you to choose her? 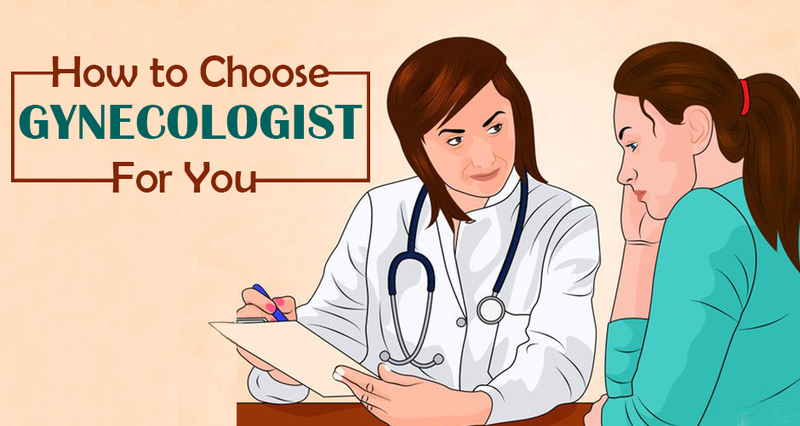 Well, let us discuss on what factors you should consider while choosing your gynecologist. How do I go about choosing a gynecologist? Talk to your friends, colleagues and family members, ask for a recommendation from your family doctor, or search on the internet for gynecologists practicing closer to your home. Tip: You can consider asking the local chemist for good recommendations. They usually have very good info of doctors with the right specialization and reputation. However, avoid taking advice from chemists who are attached to certain hospitals and clinics. Make a list of the doctors you would want to consider and if possible visit each one individually. How do I choose the right gynecologist for me? Considering you will be needing her for the entire nine months of pregnancy, delivery and subsequent recovery, let us understand what factors should you consider before you choose a gynecologist. Yes, reputation and experience matter a lot. Check on the hospital website about the doctor, her qualifications, areas of expertise, and experience. If your gynecologist is not an obstetrician, you might need a different doctor at the time of delivery. So, it is always better to choose a gynecologist who is also an obstetrician. There are plenty of websites and apps in which people review about their experience with the doctor. Usually, an experienced and reputed doctor would have above average rating. How does she deal with an emergency? How soon will she be able to attend you? Will she respond to phone or text for your non-emergency queries? How long will it take to get a non-routine appointment? This is a very important criterion as you would not want a doctor who would rush from one patient to another without pausing. Always choose the one who is relaxed and answers all your queries with patience. She should answer all your queries and conduct all the required check-ups, no matter how busy she is. Proximity to your place of residence is one of the topmost criteria to choose a doctor. Check if the doctor practices in a clinic or has her own hospital or is affiliated with any hospitals, close to your residence. Find out how far you have to travel to meet her. Will you be able to cover the distance easily in case of an emergency? Ideally, you should be able to meet her in less than half an hour even during peak traffic hours. How far is the hospital from where you live? Is it easily reachable in case of an emergency? Does the hospital have a well-equipped laboratory for tests and investigations? Does the hospital have facilities to handle an emergency hospitalization? Does the hospital have a NICU (Neonatal Intensive Care Unit) if the need arises? How long would it take for the doctor to reach the hospital in case of an emergency? What is the quality and strength of nursing staff? Read More: What could bleeding mean in pregnancy? Should I visit to the doctor? Your gynecologist should be able to communicate to you in clear and precise language. She should be able to explain all your queries in simple layperson terms and not in complicated medical terms. She should be friendly, responsive and listen to your concerns. She should also keep you updated on how your pregnancy is progressing, if there are any complications or if there are any additional precautions/preparations you need. There is no point in going to a doctor who does not communicate well to her patients. This is also one of the major deciding factors in choosing a gynecologist. Though, the consultation charges differ from doctor to doctor, there would not be much difference in delivery charges from doctor to doctor or from hospital to hospital. A doctor might charge less if you consult in her own clinic and slightly higher if you consult her in a hospital she is affiliated to. Check if the affiliated hospital is covered by your medical insurance. Check with the hospital what will be the approximate total cost of the delivery. You should then check with your insurer about the upper limit for the hospitalization and then finalize depending on your budget. Yes, you are the one who is pregnant and the one who is going to deliver the baby. So, trust your instincts and decide who will be the best one for you. If you don’t like the doctor, reconsider and consult another suitable one. There is no obligation that you should stick with the doctor throughout your pregnancy, even if you don’t like her. If you don’t like the hospital she is affiliated with, check if she can attend to you in a hospital of your choice. Else reconsider your choice of hospital. If you are not happy with the way you are examined, feel the advice or medications or tests prescribed are not up to the usual standards, do not hesitate to change your gynecologist. Finally, as a to-be mother, the decision to consult a particular gynecologist should be yours. The most preferred gynecologist in your town might not be the best suited for you. Always consider the most important factors like experience, proximity to your residence and the facilities at the hospital. If you are not happy with the association with your doctor, do not hesitate to consult any other gynecologist . After all, it is about you and your baby and you need to ensure that you have a healthy pregnancy and an uneventful delivery of your little bundle of joy.